Amazing Mold Putty and EasyMold are two very commonly available brands of RTV silicone rubber molding putty. What are the differences between these brands and should you choose one brand over the other? Silicone Rubber Mold Putty is a platinum-cure two-part mold making material that comes in the form of two component putties that you mix together by hand to form a molding putty. You then shape this material over or around an object that you want to copy. The material will then cure to form a durable, flexible mold exactly duplicating the object you shaped it around. Silicone Putty Molds are easy to make, durable, food safe, and you can bake food or polymer clay in them. Read more about Silicone Rubber Molding Material, or read on for my comparison of Amazing Mold Putty vs EasyMold. I chose to compare Amazing Mold Putty and EasyMold because both brands are readily available in my local craft stores and online. These brands are the ones I see most commonly recommended in online polymer clay forums and groups. In fact, this comparison was prompted by one of these discussions. Someone asked about the best brand. I’d only worked with Amazing Mold Putty and recommended it. Katie Oskin, of Kater’s Acres, recommended EasyMold. We both liked our brands, because they worked, but neither of us had used the other brand and so we really couldn’t comment on the differences. So I bought a fresh box of each and put them through their paces, side by side. Hey, Katie…now we know!! Manufactured by the Alumilite Corporation, Amazing Mold Putty comes in a box containing two containers of putty, each weighing 1/3 lb (150 g). Container A holds a white putty and container B holds a yellow putty. A short instruction sheet is included, written in English. The instructions are simple. Just mix equal amounts of Putty A and Putty B by hand until there are no color swirls remaining. This should take less than a minute. Then shape the putty around the item to be copied, making sure to take less than two minutes. The open time (workability time) is a total of three minutes and the demold (remove the mold from the object) time is 20-25 minutes. Both times can be increased somewhat by lowering the temperature or decreased by increasing the temperature. Molds made with Amazing Mold Putty can be baked at temperatures up to 395°F (200°C). EasyMold is branded as being by Castin’Craft, but a look on the box and website reveals that it’s actually made by Environmental Technologies, Inc., which may be familiar to you if you work with epoxy resin. (As an aside, many manufacturers of silicone molding material also make casting resins.) EasyMold comes in kits of 1/2 lb and 1 lb (227 and 454 g). Just like Amazing Mold Putty, EasyMold comes in a box with two containers, holding the A and B components of the molding putty. EasyMold’s Component A is white and B is a lovely dark purple. The instruction sheet is quite comprehensive and gives lots of good information in English, Spanish, and French. Just as with Amazing Mold Putty, the open time is three minutes, the demolding time is about 25 minutes, and the molding process is identical. The bake-safe temperature for EasyMold is just a smidge higher at 400°F (204°C). The process for making molds from EasyMold and Amazing Mold Putty are exactly the same. Amazing Mold Putty vs EasyMold : What are the Differences? The tall, thin containers of the Amazing Mold Putty are a bit harder to get material out of than EasyMold’s containers. 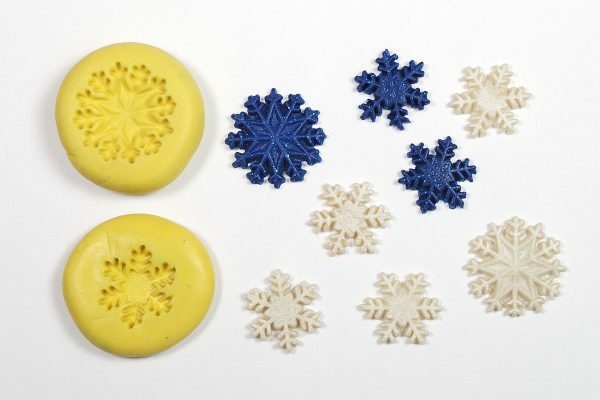 Unlike mixing other two part formulations that you might have used, such as epoxy resin, the mixing ratio for both brands of silicone mold putty doesn’t have to be exact. You do not need to use a scale or measuring spoon. Just make equal sized balls and you’ll be fine. After curing, I found that both putties created an excellent mold which faithfully reproduced fine detail. EasyMold does create a mold that is stiffer and less stretchy than Amazing Mold Putty. I made a sheet of each putty by rolling them on my pasta machine’s thickest setting. Amazing Mold Putty was quite stretchy, but it really took quite a bit of strength to stretch the EasyMold very far. When I tried to tear each sheet, I could not tear the Easy Mold with my hands but the Amazing Mold Putty snapped in two after a couple of tries. Amazing Mold Putty creates a stretchier and softer mold material than does EasyMold. The instructions for EasyMold warn that there are substances which can interfere with curing (such as sulfur, tin, and stearate). But the instruction sheet for Amazing Mold Putty didn’t mention it. However, I found that this is a known factor for all platinum-cure RTV silicone rubber mold putty and it is, indeed, mentioned in the FAQ on their website. Note, this may be an issue for you when molding rubber stamps as some have sulfur in them. **NOTE: I found that silicone mold putty cure is inhibited by some brands of polymer clay, both raw and baked. Both mold putties can be used to repair or add to an existing mold to repair a crack or tear. New putty will stick to old putty. This is handy if you want to reinforce a thin area in a mold. Both brands of mold putty claim that they can be used with chocolate, food, wax, soap, polymer clay, ice, and even resin. Both brands are non-toxic and certified to be safe for use with food. But once used with food, don’t put other things in the mold. Amazing Mold Putty suggests on the box that the molds are perfect for use with their company’s Amazing Casting Resin, which is white, by the way. Keep this in mind…there’s a reason. The instructions for EasyMold say that you can use it with both EasyCast and EnviroTex Lite epoxy resins as long as your mold is older than 24 hours. My experience was a little different, however. Both Amazing Mold Putty and EasyMold easily molded and released the EasyCraft and Envirotex Lite epoxy resins that I used. But there’s more to a good cast than a good shape, as I found out. The instructions for EasyMold clearly state that the cured putty is usable for general molding but needs to cure for at least 24 hours or be heat cured by baking at 350°F (177°C) for 30 minutes before being used with resin. This is because gases are released as the putty fully cures. The instructions for Amazing Mold Putty don’t mention this. I had to check it out. And sure enough, freshly cured silicone mold putty produces resin casts with a very bubbly surface. It was quite pronounced with EasyMold, but it was definitely a factor with fresh Amazing Mold Putty molds as well. I tried again with heat cured molds. And while the amount of bubbles was reduced, the casts were still quite bubbly. With a mold that was 48 hours old, there were still noticeable bubbles being produced in the EasyMold mold, creating a pitted resin surface. I used both EasyCast and Envirotex Lite epoxy resins, by the way, and had similar results. Epoxy resin casts made with EasyMold (left) and Amazing Mold Putty (right). Note the bubbles on the left and the frosted surface on the right. The molds were heat-cured and over 24 hours old. Amazing Mold Putty behaved very differently with resin. Amazing Mold Putty molds didn’t have pronounced bubble issues once the molds were older than 24 hours. But they aren’t really usable with clear epoxy resins like EasyCast and Envirotex Lite, either. That’s because the resin cast comes out with a very finely pitted surface giving a frosted look on the surface of the resin. It feels smooth, but it’s not. Again, this is not mentioned in the instructions for Amazing Mold Putty, but the video of the product’s use does mention it. Now we know why they suggest using it with their white colored Amazing Casting Resin! It does work with epoxy resin, you just won’t get a clear surface. And there’s one more odd thing about using resin with EasyMold. I knew I hadn’t spilled the resin when I poured it. But after 12 hours, the outside of the mold was sticky. I got out my fancy reading glasses so I could see up close and found that the purple EasyMold “sweated” an oily substance while the resin inside of it cured. Amazing Mold Putty did not do this. I thought it was a side effect of the mold curing, but this didn’t happen when I tested freshly mixed EasyMold and left it overnight. The mold with resin it it got “sweaty” and the mold without resin in it didn’t. Odd. Two day old molds did not sweat like this when I used resin. When casting EasyMold molds with epoxy resin, the molds sweated an oily residue. That’s kind of a long winded way of saying that you can’t use clear resin with Amazing Mold Putty because the surface will be frosted. And EasyMold needs to be well cured if you’re going to use it with epoxy resin or you will get bubbles and a pitted surface. And if you’re using EasyMold, don’t be shocked to find that it has sweated an oily substance. As an aside here, Laurel Steven mentioned in a comment that she dislikes using Amazing Mold Putty because the molds would “sweat an oily substance over time”. Hmm. I’m not surprised one bit! But I’ve used Amazing Mold Putty for a while and have molds a year old and so far so good. So if this happens to you, you’re not the only one! Since I work with polymer clay, my main reason for using RTV silicone rubber mold putty is to create molds and texture sheets to use with polymer clay. This is absolutely a fantastic use for silicone molds!! You can get excellent details and make molds that allow you to reproduce a shape or a motif many times over. I found no difference between polymer clay impressions created with Amazing Mold Putty vs EasyMold. Both materials produced excellent casts with tremendous detail. Both mold putties are chemically compatible with polymer clay and both brands of mold can be baked with polymer clay inside, both at 275°F (135°C) that Premo requires and yes, even at the 300°F (150°C) that Kato Polyclay requires. And beyond making molds, you can use RTV silicone rubber mold putty to make texture sheets for polymer clay. Because the mold material doesn’t stick to what it’s being molded upon, you can take impressions of nearly anything! Just mix up the putty, press it onto something with great texture, and let the putty cure. Peel it off after curing and you’ve got a wonderful texture sheet for working with polymer clay. See how Kristi Bowman used silicone mold putty on some cauliflower to make textures that she used with metal clay. How cool is that? I used a shower scrubber sponge, faux leather from a purse, and a beaded flower on another purse to create these textures with Amazing Mold Putty. Amazing Mold Putty vs EasyMold, which is better? Amazing Mold Putty and EasyMold silicone mold putty work very much in the same way and there are not many differences between them, especially if you’re not going to be using your molds to cast resin. I’ve now worked with both and they seem to be quite comparable. You would do well with either brand. I’d probably pick the purple EasyMold next time, though. Mostly because I prefer the color. And I like that it creates a slightly firmer mold. Ginger I really enjoy your blog posts. They’re really detailed, well written and interesting. I’ve had the same experience with both the Amazing Mold silicone putty and the EasyCast silicone putty when using clear resin. Bubbles with one and frosting with the other. They both work fairly well with colored resin if a shiny surface is not a necessity but overall I’ve been underwhelmed when using resin with putty molds. I’ve ordered some Oyumaru silicone molding material from Japan because it is supposed to leave resin pieces shiny unlike the silicone putty as per this Youtube video http://www.youtube.com/watch?v=0mLvqBXur74 (skip to 4 mins 30 secs) or this one http://www.youtube.com/watch?v=zRYsVKY97sA. You can’t bake polymer pieces in Oyumaru though because it softens with heat. It is supposed to take texture and details really easily and works well with resin. If there are any imperfections in the mold it is easy to soften the mold and redo it so no material is wasted. I’m going to use the Oyumaru to create flexible texture sheets for my polymer clay and some cabochon molds for resin. If you do ever experiment with Silicone Plastique I’d be interested to read the results because it looks promising, but is quite a bit more expensive than Oyumaru. Thanks Brenda. It’s good to know that you got the same results. They really did have great detail and would be great for an opaque resin, perhaps, but you could get that result with polymer. I’ve heard about the Oyumaru and now I supposed I should find some of it. It does sound quite interesting and the re-usable factor is good for those times when you just need to make a few molds. From what I can tell, Silicone Plastique is the exact same thing as EasyMold and Amazing Mold Putty, it’s a platinum catalyst silicone mold putty. But it is blue, and that is a huge plus! LOL! Once again Ginger, you have outdone yourself… & saved me the trial and ERROR I would surely make as I tinker, fiddle and experiment with new mediums. Another stocking stuffer to add to my list and something I definitely want to try in the new year. Thanks! Good, I’m glad it was helpful. There’s no sense all of us reinventing the wheel all the time. It’s great to share info and results. I actually plan on working with these even more soon. I have ideas!! Thank you for a wonderful comparison post. I just bought some Amazing mold putty so am glad that will work. I made a few molds many years ago for a scrapbook project so will have to get them out and see if they will still work. I think they are blue though so must be something different. I’ll bet all these different brands are pretty similar. I’ll bet those old molds will still work. I’ve never heard anything about them getting old over time. Well with some things the brand IS crucial. And everyone does have their own favorites. But for just making basic molds, they both seemed to work quite well. I wonder why that instructor felt it mattered? Hey Kristi, I’m just glad you shared your experience! It made me think of vegetables in a whole new way. I’ll bet there are some neat things in the produce aisle. Hmm…. I’ll have to try the resins again when the mold are older and see if the results change. There must be a way, LOL! Pingback: KatersAcres 2014 Polymer Clay Goals for My Studio. Come & Share Yours Too! Nice article! A couple comments… if you mold a lot, like I do, you can get AMP in large bottles (a 6 pound kit) for WAY cheaper than any other molding putty. You can easily establish a wholesale account with them too- don’t be afraid or intimidated to ask, then you can get your enormous piles of putty for 1/2 off! Also- when molding for use with resin- I discovered that I could get a perfectly clear and shiny resin surface if, and only if, I molded an original I had created out of Kato polyclay. If I try to mold anything made from Sculpey or Premo, I get that pitted surface you discussed. It’s strange… but it’s true for me. I think Kato clay is an extremely smooth surface after curing, and it created the most smooth molds. Have fun, molding with putty is awesome! I sculpted a head out of Kato polymer clay and baked it in the over. Then I created a mold from the cured Kato and the Amzing mold putty reacted to the clay and didn’t cure. The mold was ruined. Why would my Kato interfere with the mold? I went thru all this trouble of sculpting a 2nd head since the first one I made was out of hard sulfer based plastilina clay which reacts to silicon molds. Just to make sure my sculpt wasn’t contaminated somehow I tested some mold putty on some uncured kato out of the package and it reacted in the same way. Can anyone explain this? Hi George, I have used Sculpey (the original) to take impressions and then used Amazing Mold Putty on the raw clay to make a texture sheet. It cured perfectly well. So I assumed that you might have old mold putty or something. But just for kicks and grins I did a little experiment. Just now I used Amazing Mold Putty (from a good, fresh box) and put some of it on both unbaked and baked Kato clay. Sure enough, you are right. The mold putty didn’t cure properly! The back of the “blob” cured just fine but the part in contact with the polymer clay remained gooey. It was more pronounced on the raw clay, but the mold made from baked clay was unusable as well. I don’t have a solution except to try using a different polymer clay. Or maybe you can try sealing your clay head with Varathane before you take another mold. I’d do some tests, though, before spending the time making another head. Get the materials working first, then create the art. I’ve never heard of a problem with Kato and mold putty before, but I will definitely look into this. Thank you SO much for bringing this to my attention!! If you find any answers, I’d love to hear what worked. Good luck! I bought some Amazing Mold Putty last time I was in the States, and now I’m really fired up to try it. Thanks for being a continuing inspiration, Ginger. Again……yet another wealth of information article that specifically answered my question after searching the internet. Now I know just enough to maybe start some projects! I’ve heard you can use Bake & Bend for molds. Has anybody tried that? Much obliged for the great article! I’ve used Easy Mold for making custom chocolate molds with great success, but now I’m looking at teaching this, and the 6 pound AMP is a much better deal for assembling class kits. So good to have a first hand, detailed account of how AMP works compared to EM, and glad to know I will be able to order the bulk packaging with no worries! For some reason, my Amazing Mold Putty isn’t working. I put my putty on the item I was trying to mold and waited until morning. In the morning, the putty was still totally soft, so I took it of the item and attempted to make another mold by using my clay tools to make a print on my putty, and it still hasn’t worked. I have had my putty for a while, so mabye it is just old. If this is true, how long can you keep Amazing Mold Putty without it going bad? For one of the molds I made, I used unbaked clay, so maybe that is a problem, but for another I used an oreo covered in nail polish and for my final one I didn’t use any item. It does sound like there is something wrong with your mold putty. The manufacturer does say that it should be used within a year. I have some (another brand) of mold putty that was still good after 10 years, though, so I find it hard to believe it would go bad so fast. Perhaps you have something on your hands that is causing cure inhibition? The compounds in some polymer clay, rubber stamps, and sulfur will all cause cure inhibition. I just tried both Amazing Mold Putty and EasyMold. I’d just like to affirm that Amazing Mold Putty (the yellow stuff) won’t set up if you mold it around Kato Polyclay or rubber stamps. It stays sticky and gooey. I tried it on two brand new rubber stamps that had never touched polymer clay. Then I tried it around something metal and it worked fine, so my conclusion is that Amazing Mold Putty reacts with something in the clay or rubber. However, EasyMold (the purple stuff) works pretty well to make a mold from either Kato Polyclay or rubber stamps. It sets up with no problem. I wish the molded surface was smoother and the mold somewhat firmer so I could use it as a rubber stamp. I may try Sculpey Bake & Bend and Sculpey Mold Maker. I’d like to find a putty to make reverse images of texture mats so I can stamp from them. There are firmer silicone mold putties on the market, but not available in craft stores. I like your idea about using the Bake & Bend and the Mold Maker. Good luck! To clarify, in my experience with Kato clay, EasyMold gets many tiny bubbles under the surface, some which break open leaving little holes. Sculpey Bake & Bend didn’t bend for me. It went into my ever-growing bin of failures. OOMOO 30 liquid silicone rubber has worked best so far for making molds from Kato and from rubber stamps. You have to make a little container around whatever you’re molding to keep the liquid from running all over and you want whatever you’re molding to be fairly level. No mold release needed. I still end up with a couple little bubbles, but they’re from mixing air into the liquid, not a chemical reaction. I think I need to slam it on the countertop a few times before pouring. I’d like to find a liquid mold product that’s a bit firmer, but it’s pretty good. Hi Ginger, Thanks for this review. I’ve been using Amazing Mold Putty for about a year now and am very satisfied with it. I knew from some premade molds that I bought in the past that you can’t get a shiny finish with resin. It never occurred to me to use it to make texture sheets – I’m going to try that! Very thorough as always. I’ve used both, and have had no problems once I learned that the stuff sticks to itself. I was trying to make a two sided mold of a pod. when traveling,I’ve made some texture sheets that would be hard to do any other way since I don’t take an oven with me…I got great results (and several strange looks) from weird boards, bird seed, palm trees, knots on trees,and driveway cracks. I love that the stuff is portable and fast. Both brands usually set up a lot faster than 30 minutes which is useful if you are molding in public places. Donna Kato sells the Omuryu stuff on her website. I haven’t used it yet. I have a particular application and am hoping you have tried something similar and can recommend which putty would work better. I have a shallow metal bowl 1″ deep that has great design elements cast or hammered into it. I want to make a flat mold that I can use for polymer and precious metal clay. Do you have an opinion as to which putty would be the easier to flatten out after unmolding from my original? I don’t think either brand will give you exactly what you want. If you pressed the mold putty into the bowl, let it cure, then removed the bowl…you’d just get a bowl shape. It would be hard to flatten it. I’d be tempted to try using polymer clay for this, actually. Slather some mold release on the bowl (I’d use Armour-All). The press a sheet of polymer clay into the bowl. Then invert the bowl and dump the polymer clay sheet out. Then gently flatten the polymer without flattening the design. Now cure the polymer. Now you’ll have a flat version of the bowl’s pattern. You might then want to use mold putty to make a flat texture sheet from the polymer, and in that case either brand would work well. Generally, I prefer using Easy Mold because it’s just a smidge harder. Hi Ginger. Here it is many years after your article and it has been tremendously useful for me. I am a papercrafter. It is a long story how I got to molding. But I am not crazy about resin for jewelry making. I came across a YouTuber who created scenes embedded in resin. She used clay to sculpt the figures. But she also used items she molded in putty molds. So, having been inspired, I ran to my Michael’s and got Amazing Mold. I used Amazing Clear Resin, so why not the molding material. I had not intended to use resin, but why not try. I Googled and I found you. Thank God! So, I won’t be wasting any resin. But I will still give it a go with a small bit of the putty and some colored resin. I love to experiment. Anyway, now I am wanting to do some clay. When I was a miniaturist, I loved working with FIMO. I have some fairly new white sculpy begging me to use it. I even now have a pasta machine. Didn’t have one in my mini days. It is such a wonder how you can be inspired in so many ways you least expect. So, I bow down to you. Thank you do much not only for the information but for the inspiration. Thank you Rosetta! I’m glad it was helpful. 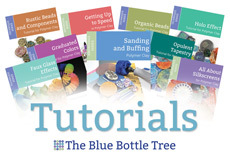 Welcome back to the world of polymer clay!